Are you ready to get real and open with your life? 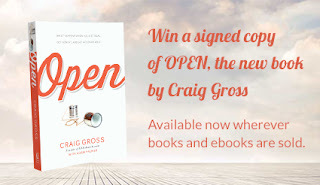 That is what Craig Gross's book is all about, and we are excited to share it with MamaBreak readers! The forward is written by Jamie Tworkoswki from To Write Love On Her Arms, so we are excited to be more open in our lives! 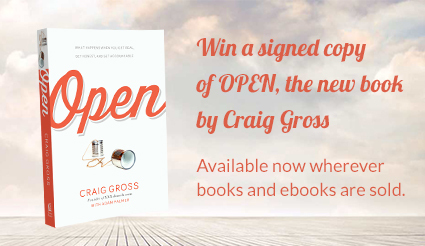 Want to win your own signed copy? Enter below! After the quiz I realized that I wasn't as open as I thought and much more private!! I don't think that I am open at all. I'm only 23% open. I did not expect that. I am 93% open, and I'm proud of that because I have worked hard to become that way. 68% open You’re about as open as a bag of chocolate chips found by a toddler! I am 93% open (which does not surprise me!). I am 23% open which is ok as I am a private person. Mmmm Monday Baked Apple Cinnamon Oatmeal! ABC Flashcards for Summer Fun! Mediterranean Snacks New Flavor-- Fiery Tomato! Ipsy July Spoiler Sneak Peek! Yves Rocher-- Getting you summer ready!